If you're looking for an odor eliminator spray that really works, without exposing you or your family to risky chemicals, choose the healthy alternative. Choose PureAyre. PureAyre is the strongest, most effective odor eliminator you can buy, and it's completely safe. When you spray PureAyre in the air or on surfaces powerful enzymes break apart the molecular bonds of odor-causing compounds to eliminate both odors and harmful contaminants. Smells are permanently removed when the molecular bonds are broken. Biotechnology has made it possible for us to bottle a potent combination of plant-derived enzymes without the use of chemicals or alcohol. 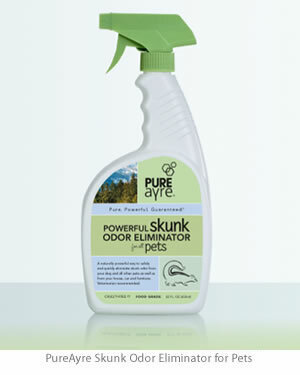 Easily eliminate any odor including strong odors like cat urine, smoke, skunk and cooking smells. See a comparison of odor eliminator sprays. Use in your home, car, boat, on pet odors and on baby odors. 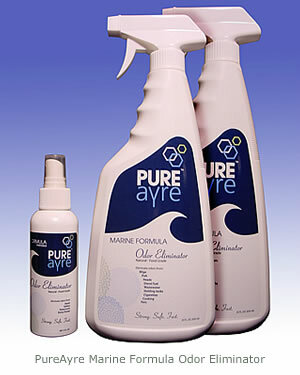 PureAyre is the only food-grade odor eliminator available. That means that PureAyre is the safest and surest way to get rid of disgusting smells, even around food, and on people and pets. You can control the smells in your environment while being friendly to your environment. 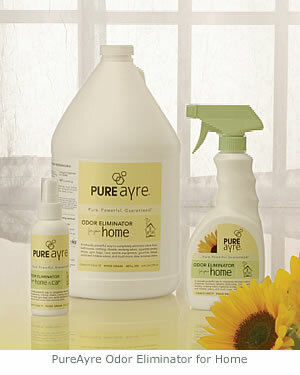 PureAyre is made from plant-derived enzymes, purified water and essential oils. It eliminates odors and cleans the air so you can breathe easier. Get PureAyre now. 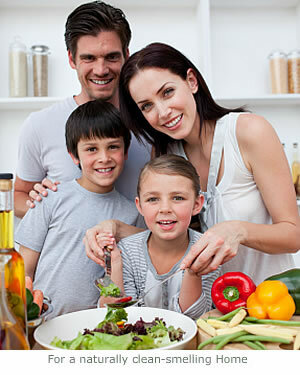 If you are not completely satisfied with PureAyre please contact us. 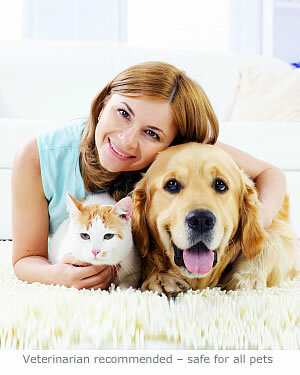 Eliminate odors in your home, car, boat, around pets and in commercial environments so you can breathe easier. 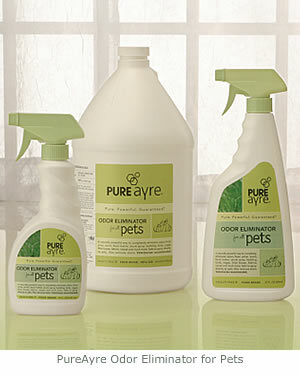 PureAyre is available in convenient sizes at online retailers.